The university has become the hub of the problem who give the better future for students. But there are no facilities or resources. This is the situation in Osmania. There are criticisms that the government of the Red carpet to the private university was left out of the air. This is the same in 12 universities. 50 percent of the situation is still in place. Osmania, Kakatiya, Telangana, Palamuru, Ambedkar University and all the universities have been severely affected. The situation can be understood if 25 percent of the budgetary allocations to the university were previously disbursed. All the Universities have 1061 posts vacant, which means that the staff lacks. There is no change in the case of repeated criticisms that the research on quality education is going on. 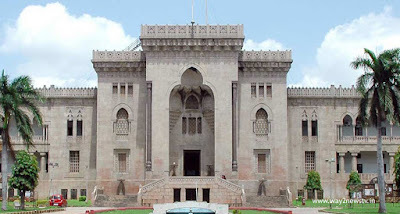 The Osmania University, Which gives breath to the movement. In fact, Osmania needs 1268 faculty. But now there are only 514. The rest of the week is the contract, the part-time employee. The retirement of those who are currently in retirement does not even recruit their placement. Telangana is not even a Telangana situation for two years. Three times recruited in Osmania. 25 in 2004, 150 in 2007 and 170 in 2013. The number of retirees is higher than the recruits. There are only two assistant professors in the headless condition professor placement in 20 departments. It is difficult to get UGC grants without actually being a professor. Last year's budget allocation was 200 crores. Spent only 50 crores. That is the government's will. The government has said that education is a big step in the Telangana budgets this year, but the grant funds do not until comes to education. In the case of allotment, it is an example. University Grant funding is not available for most universities. There is a shortage of faculty and university rankings with disadvantages on the other side. According to Telangana students, many new units will be required. Telangana University, Potti Sriramulu University, Acharya NG Ranga University and Mahatma Gandhi Universities have been struggling to find a lot of trouble in students. UGC is ready to give grants, according to UGCs, there are no universities, said UGC Grant Commissioner Gopal Reddy. Now, faculty members call for dharna. We do not even have a contribution pension and that they did not received the pension from Government for past four years. On the other hand, there is no possibility that the pedagogy will be more difficult at the time of PG classes.